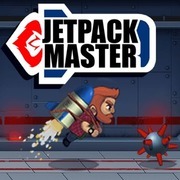 Jetpack Master – JohnstonCounty.Today Games! Jetpack Master is a cool action arcade game with the handsome hero Jeff Powers! Click your mouse button or touch the screen to “power up” and fly with the jet pack, collecting coins for points and other prizes and special features along the way. Spin the wheel at the end of a level to gain extras! !